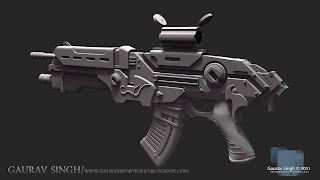 I saw this work yesterday on eat3D forum, and I have to say it's amazing... 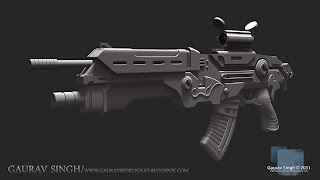 I'm a beginner to Maya and 3D in general, but ill jusk ask you one question : did you use a ref image of a GOW rifle in Maya or did you simply try to make it look like by assembling shapes ? And how could you make all the curves ?? Thanks a lot for your answer, and i hope we'll see the texture soon. Keep it up ! 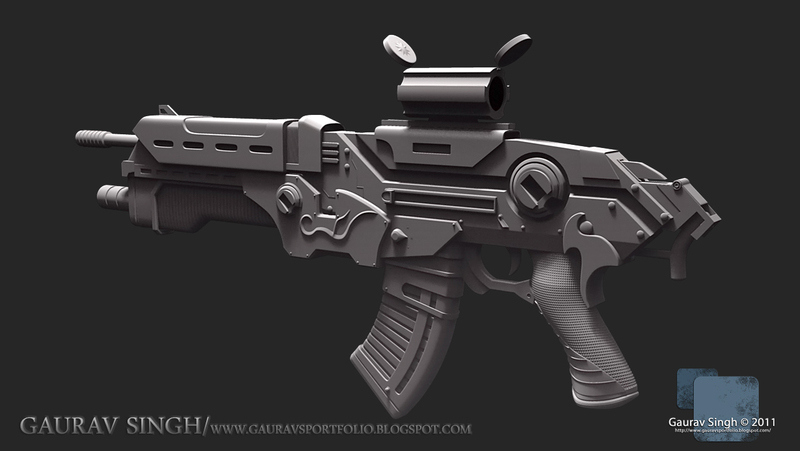 I used a concept art as a reference and other details from a few different guns @google images. Sorry didn't understand your question....what curves are you talking about? 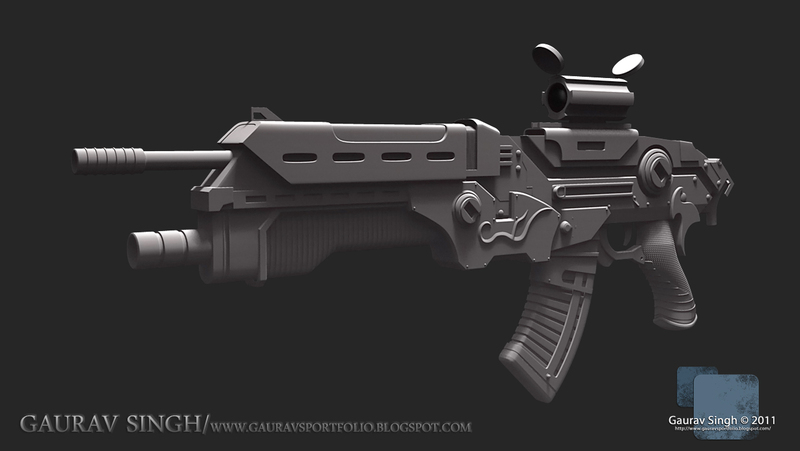 © Gaurav Singh 2013. Awesome Inc. theme. Powered by Blogger.